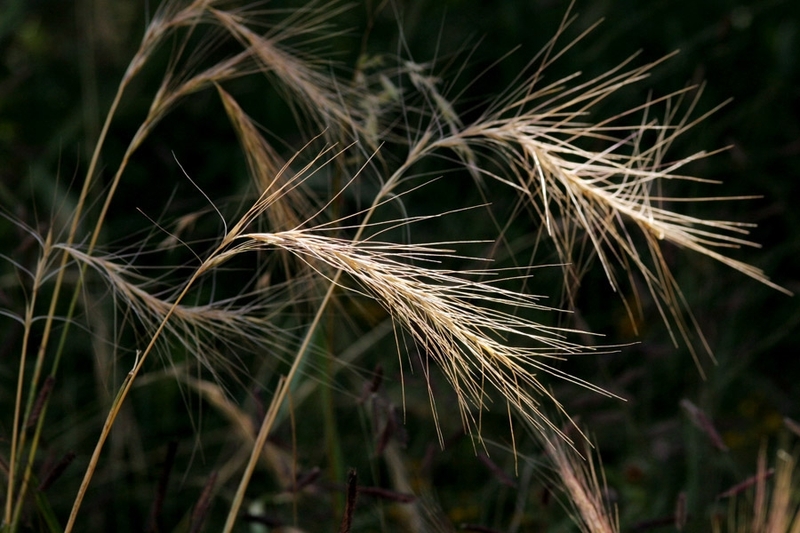 Reasons for concern: The seed heads of this native grass have a needle-like bristle or awn at the tip of each seed, which can be dangerous for livestock and pets because they can work their way into the animals’ mouth, nose, eyes, and digestive systems. It can form large stands that displace more desirable native plant vegetation and important wildlife habitat. On the other hand, it can outcompete cheatgrass and be very useful for revegetation and erosion control. Special note: Native plants have evolved together over centuries with pollinators, birds, wildlife, and other native plants. We may not understand the role this native plant plays in our environment, so we may not want to completely eliminate it. 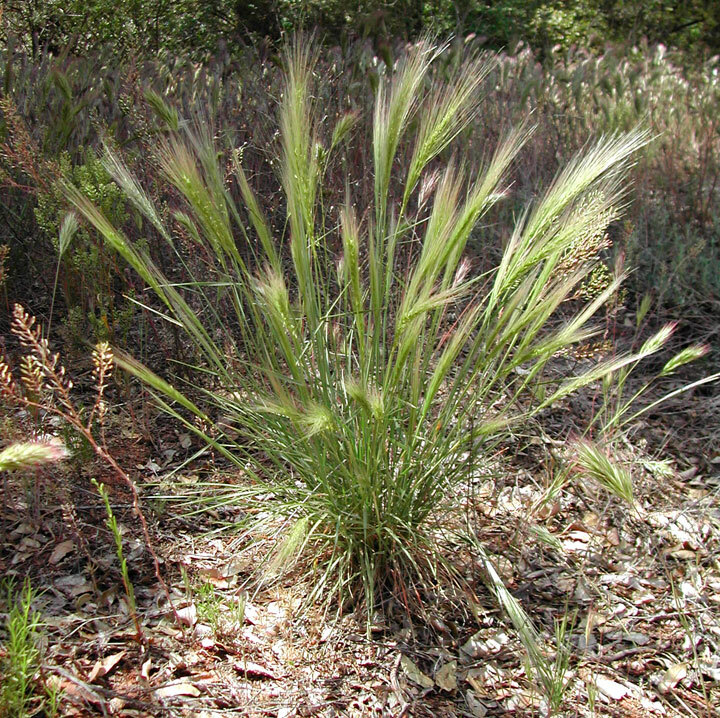 Botanical description: Erect bunchgrass, begins growing by late spring, greens up early, and can remain green through fall and winter. Leaves: Stiff, flat or rolled leaf blades. Stem(s): Erect, solid stems have flat or rolled leaf blades. Typically grows 8 to 25 inches tall. Seed heads: Fine, needle-like, spreading awns or bristles at end of each stem. May be red in early season. Awns stick straight out and bend back on mature seed heads. With enough moisture, plant may drop seeds twice in a season. Seeds germinate in fall or spring, produce vigorous seedlings and mature July to September. Roots: Fibrous. No rhizomes (horizontal underground stems). Where it grows: In widely varying habitats. Tolerates a wide variety of soil types and moistures. Adapted to drought conditions, common in dry locations. Found in desert to alpine environments ranging from 2,000 to 11,500 feet in elevation. Reproduction: By seeds and less often by tillers (shoots or branches that grow vertically from base of plant). Weedy characteristics: Seedlings are hardy and establish easily. In addition, squirreltail is resistant to fire. These characteristics make this grass appropriate for restoration and revegetation, but it can become invasive. Seed heads are bounced along the ground by wind to locations distant from the original population. Seeds with awns get picked up in pet and animal fur and transported to new locations. 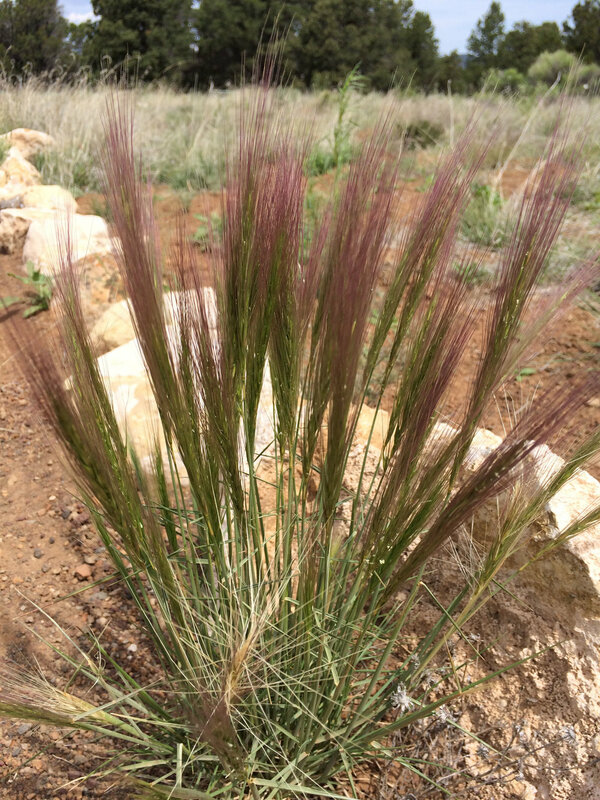 Look-alike native plant: See separate entry for Foxtail barley grass (Hordeum jubatum). 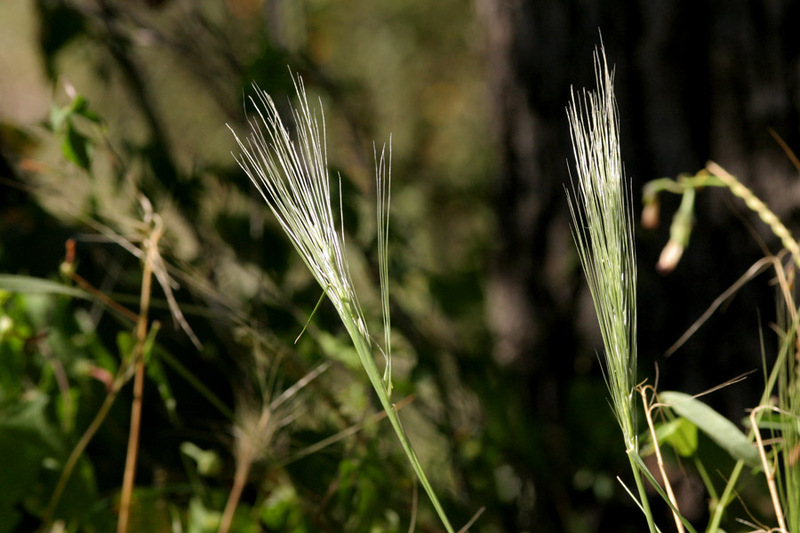 Seed heads of foxtail barley are smaller than those of squirreltail and barbed awns or bristles at the tips are shorter and do not bend back at maturity. Control strategies: Do not let plants drop their seed heads. Cut seed heads off before they drop, or thin out the population by digging up plants, being careful not to disturb soil too much. If possible, try reducing available water.